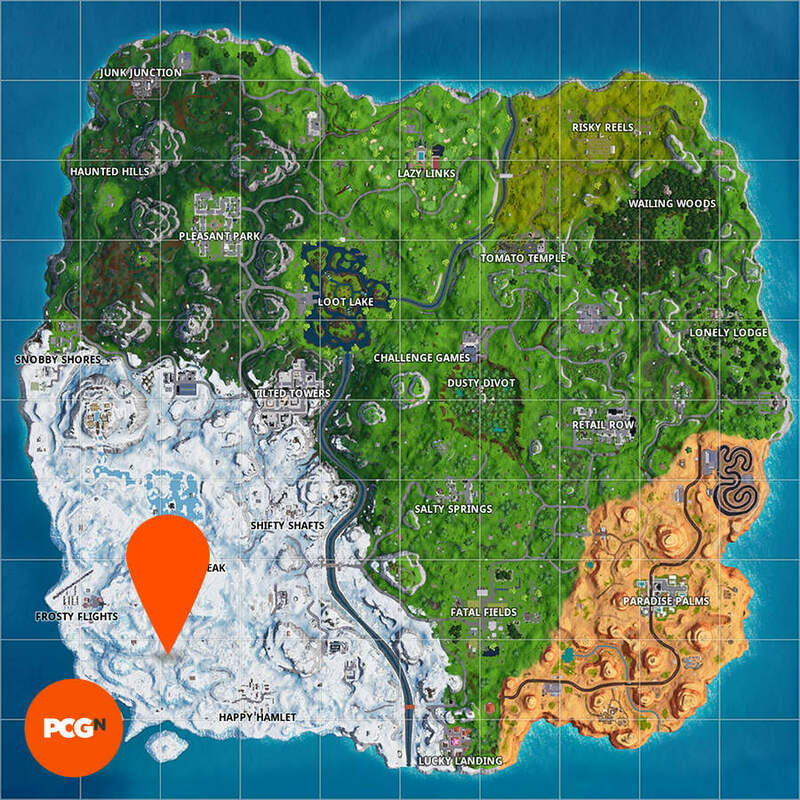 Where do I search between three ski lodges in Fortnite? Since it’s almost time to spend quality time with our families this Christmas, Epic are giving us a decent excuse to stay locked to our screens playing our favourite battle royale game as we get stuck into the latest Fortnite challenges. One tasty one for this week pertains to a search between three ski lodges. This is a premium Fortnite challenge, which means you’re going to need the Battle Pass to complete it. You’ll want that, of course, so you can unlock as many Fortnite skins and other cosmetics as possible. For owners of the premium pass, you need to search between three ski lodges to grab yourself five Battle Stars – in other words, half a Battle Pass tier. For this challenge we’re looking at the south-west of the Fortnite season 7 map. The iceberg biome is the standout change to Epic’s battle royale arena and it features ziplines, Fortnite giant candy canes, plus new named areas Polar Peaks and Frosty Flights. Somewhere here lies the solution as to where to search between three ski lodges, and we’re going to show you where you need to go. Below we have a map (click to enlarge) and a screenshot showing you precisely where to go – that’s south of Polar Peak. 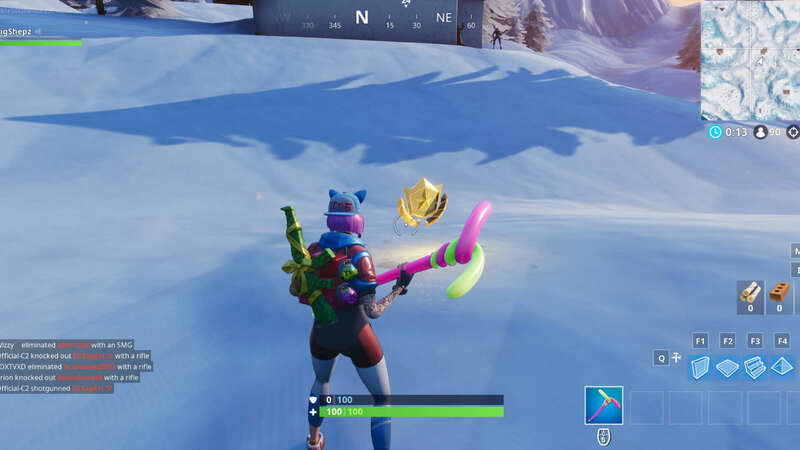 On the screenshot you can see that it is just south of the northern/central ski lodge. At the base of some large trees in between three ski lodges is where you need to go to complete this week 3 challenge. In the meantime, check out the festive tasks you can be getting on with as part of the 14 days of Fortnite challenges. Each completed task – such as the one that asks you to merely play Fortnite Creative mode – gets you a reward, so they’re well worth doing. Good luck with the rest of your Fortnite challenges.